We are engaged as a well-known Cotton Yarns Manufacturer, Supplier and Exporter in Vadodara. The Cotton Yarns are manufactured using latest Truzschler, Zinser, Suessen, Schlafhorst machinery and high capacity yarn conditioning machine. Made of imported fibers, the Cotton Yarns have all the desired qualities that make them suitable for a large number of applications. We offer different types of Cotton Yarns such as Cotton Spun Yarns, Cotton Combed Yarns and Cotton Blended Yarns. Avail from us Cotton Spun Yarns that have no alternative for their quality in the market. The Cotton Spun Yarns are manufactured under expert supervision using state-of-the-art machinery and imported fibers. 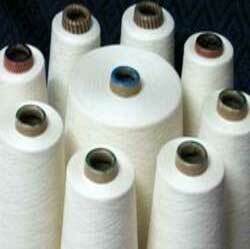 The top quality Cotton Spun Yarns are available in different counts and other specifications.